3C37800 3Com CoreBuilder 7000 7800 4 Port 1000Base-SX Gigabit Module - MTMnet, Inc. The 3Com 3C37800 CoreBuilder 7000, 7800 module provides up to 4 Gigabit 1000Base-SX fiber optic ports and is based on the multiple ASIC ZipChip technology. Please let us know if you have any questions on the 3C37800 module. 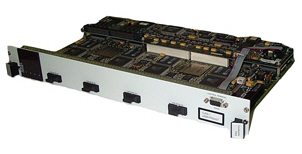 3Com Maintenance Contracts also available on the 3C37800 module!